At The Painted Burro in Somerville, it’s spacious and bright, chips and salsa flow freely, and the menu is filled with Mexican and Latin American dishes – moles, tacos, tortas, and tequila. I’ve been there multiple times for dinner – and the last time my friends and I were there for Supper Club, I had a glass of sweet and intensely flavored pumpkin sangria (the sangria changes with the seasons, and this spring, it’s rhubarb sangria). Actually, I had two glasses of that sangria. Or maybe three. 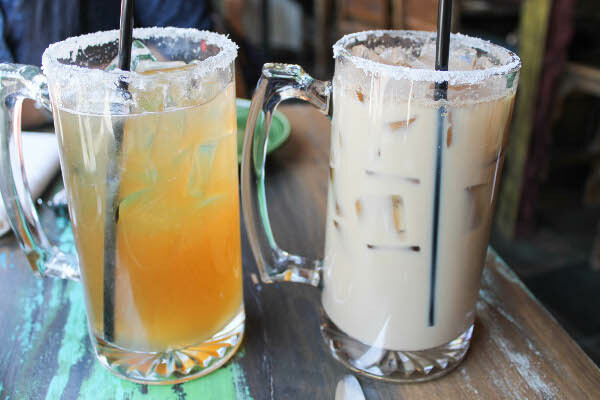 Most recently, when I went to The Painted Burro, I did not partake of any margaritas or any other libations. Instead I chose a refreshing (non-alcoholic) drink that had me dreaming about vacations and colorful mornings in Mexico: the iced coffee horchata. If you’re the Bloody Mary type of person (I’m not), you will enjoy the michelada – it’s a Mexican cocktail made with beer, lime juice, hot sauce, and other seasonings. If you’re a sweet-cocktails-like-dessert type of person (you know that’s me), you will enjoy the iced coffee horchata. Imagine this: horchata – an iced Mexican drink made with ground almonds, rice, vanilla, and cinammon – transformed into a morning beverage with coffee. 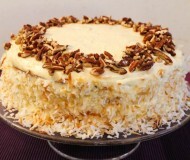 It’s not quite dessert, but it’s close. It’s sweet, creamy, and refreshing. I would like this every morning. 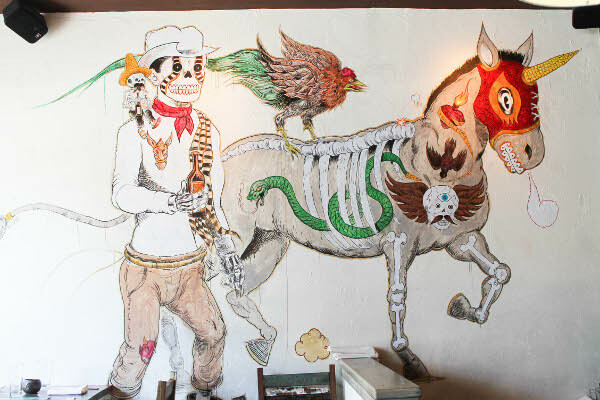 I love everything about The Painted Burro – from the giant mural of the burro (donkey) to the splashes of color on the furniture, I felt like I could be in Mexico. I am not sure if they serve chips and salsa during brunch in Mexico, but I’ll take it. 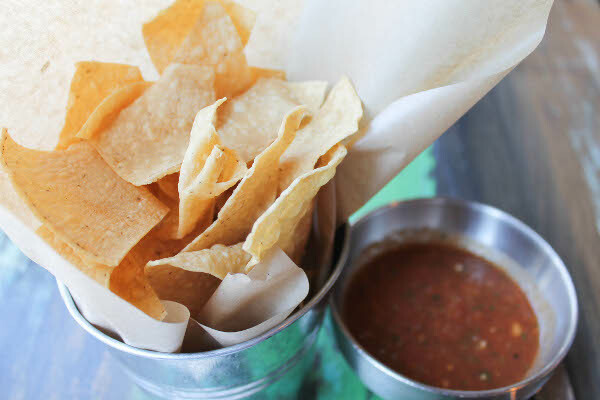 The chips at The Painted Burro are big and salty, and the salsa has a slight tang and spice to it. This definitely tasted like a big plate of dessert. The bread was crispy on the outside and soft and eggy on the inside, perfect for sopping up the whipped cream and the sticky maple syrup. I had a bite, and it was good; I especially liked the smoked chile hollandaise. There are a lot of other brunch dishes that I want to try next time I’m back, like the huevos rancheros and the ham and broken yolk torta. I will certainly order another glass of the delicious iced coffee horchata. 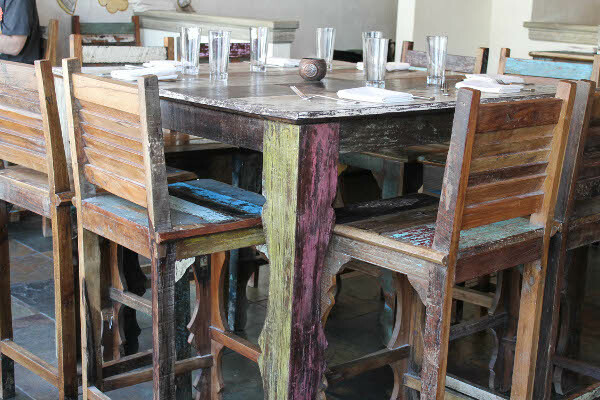 The Painted Burro is owned and managed by the same folks at Pizzeria Posto, which in my opinion is one of the most under-rated restaurants in Boston and offers exceptional Italian food. Check out both restaurants if you’re in the Davis Square area! we finally went there a few weeks ago and I definitely enjoyed. no one told me about the rhubarb sangria though!!! 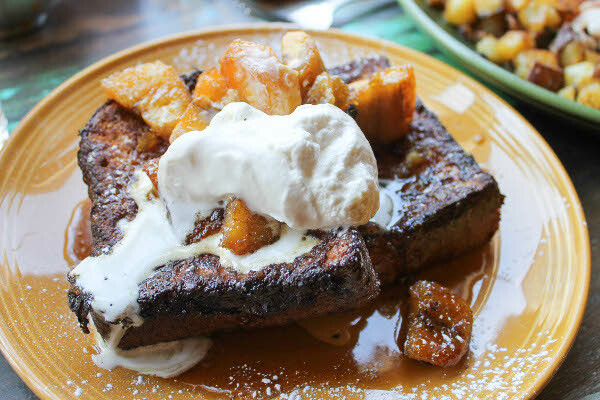 want to go back now :) brunch looks fabulous- plantains and french toast?! yum. I’ve been DYING to go here for brunch. That iced coffee Horchata needs to enter my mouth! 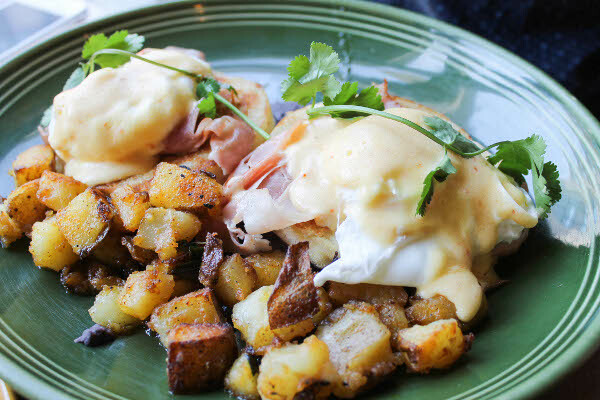 The burro benedict looks quite good, as does your drink. So happy I got to catch up with you tonight!! Wow that whole brunch sounds amazing! I wouldn’t have been able to turn down that french toast either…plantains are a weakness of mine! Woah…pumpkin sangria, rhubarb sangria, iced coffee horchata? I’d go there for drinks alone!!!!! But then this amazing food too? Can I please get an outpost of The Painted Burro next to my house? I just moved from the Davis area and this is making me miss it! I <3 painted burro and posto! Looks like a fantastic brunch. The French Toast sounds awesome with those bananas! 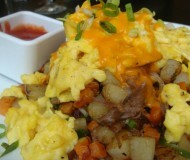 That burro benedict looks insanely good. I love Mexican food. I love the Painted Burro. Rosa Mexicano also makes great Horchata. 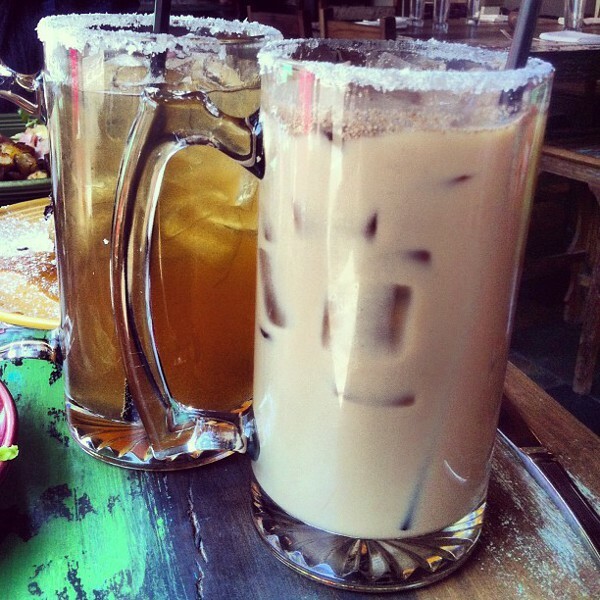 Need that coffee horchata in my life! 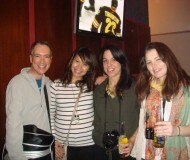 Such great photo’s here lady, really makes me want to pay them a visit.